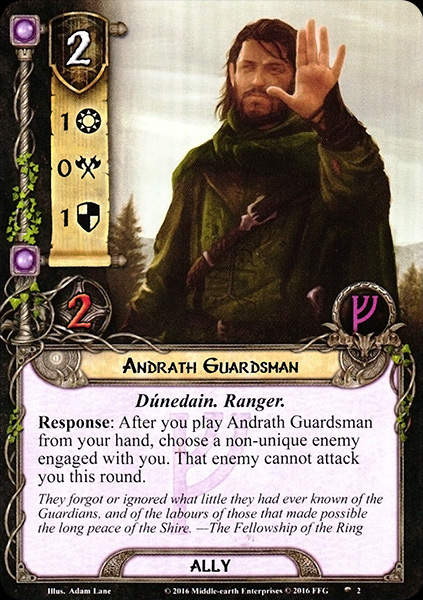 Response: After you play Andrath Guardsman from your hand, choose a non-unique enemy engaged with you. That enemy cannot attack you this round. They forgot or ignored what little they had known of the Guardians, and of the labours of those that made possible the long peace of the Shire.